My eco-friendly journey has been a gradual one, with lots of small changes being made over a long period of time. One of the things I have wanted to do for a while is switch to an eco-friendly energy supplier. We do have solar panels and have had for a few years, but they can’t provide us with all our energy needs. We have hesitated over switching to an eco energy supplier though because we (i.e. my husband) have always searched for the best deal and then fixed ourselves into it for 12 months and we thought going green with our energy provider would be too expensive. I hadn’t heard about Octopus Energy until recently when another blogger pointed me in their direction and when I checked out their prices, we found they were very competitive. Our current energy fixed contract comes to an end shortly and prices have gone up across the board, so we will be paying more for our energy and would do whoever we switched to, but when we did our comparison they came out cheaper than the big 6 suppliers and were one of the most competitive renewable suppliers. 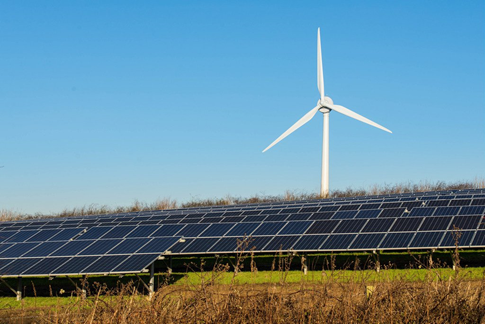 The renewable energy they supply mainly comes from solar farms (electricity) and anaerobic digestion of plant waste (gas) as well as wind (electricity). They have a variety of tariffs to choose from with differing percentages of renewable energy and some are fixed and some are not. The most competitive tariff has 50% renewable energy and for a bit more their super green tariff includes fully renewable electricity and carbon offsets for gas. We decided to go for the super green tariff, which as I said earlier when we price checked for our home was still cheaper than the big six energy providers non green tariffs. I’m not a big fan of filling out forms, but making the switch was actually really easy – it only took me a couple of minutes to do. You don’t even have to tell your old supplier you are leaving them, you just sign up to the new one to start when your old contract finishes/ the date you want to leave your previous supplier. After you have signed up the new supplier will want a meter reading to pass on to your old supplier on the date the switch occurs, but that isn’t too tricky. It feels good to finally be able to say from an energy use perspective our home and this blog is carbon neutral! You can Sign up to Octopus Energy here* and you and I will both earn £50 credit off our energy bills! It is well worth taking a look at them as going green with your energy isn’t as expensive as you might think it is! Disclaimer – this is a sponsored post and contains an affiliate link highlighted by an asterisk, opinions are all my own though. This entry was tagged anaerobic digestion, energy bills, energy suppliers, renewables, solar. Bookmark the permalink. We're on Ovo 100% renewable plan and it's barely more expensive than their normal plan and definitely cheaper than most main tariffs. The slight extra is more than worth it to help supercharge the green energy revolution! The more people that sign up for this means higher demand, more investment, Greater economies of scale and ultimately cheaper and renewable energy for all. I love your enthusiasm! You are right the more people that switch the better from an environmental and financial perspective!